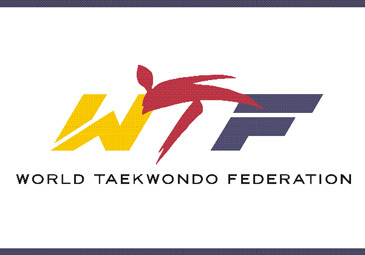 The World Taekwondo Federation will hold a ceremony to mark the launch of a newly expanded office in Lausanne, Switzerland on May 5, 2009. The launch ceremony is expected to draw dozens of high-ranking sports figures from the International Olympic Committee (IOC), International Sports Federations (IFs), international sports agencies such as the World Anti-Doping Agency (WADA), as well as ranking WTF officials. The new WTF Lausanne office is located at the Maison du Sport International (MSI). The WTF officially opened its Lausanne liaison office on Dec. 1, 2006. with Mr. Jean-Marie Ayer, a special assistant to WTF President Chungwon Choue, serveing as the WTF attaché in the liaison office. The MSI was officially opened on June 23, 2006, in celebration of the Olympic Day. Due to its proximity to the IOC headquarters, the MSI is the most ideal place for better communications with the IOC and other IFs. During the launch ceremony, WTF President Choue will deliver a speech containing WTF new vision programs, and two WTF promotional videos will be shown for the participants. "The Lausanne office will serve as the center of the WTF's international relations, Olympic coordination and anti-doping activities, as well as international public relations and marketing," WTF President Choue said. Mr. Phillip Walter Coles, an IOC member from Australia and vice president of the WTF, will station at the Lausanne office from May 7 to June 15 to help a set-up of the new WTF Lausanne office. Mr. Coles said, "The Lausanne office will work to establish a network of strong contacts with the IOC and other IFs. The office will also be used to establish first-hand contact with the WADA, which has a base at the MSI in Lausanne." "A primary initiative of the Lausanne WTF office will be to establish taekwondo protocols in relation to the Olympic Games and a major goal of the Lausanne office will be to strengthen the place of taekwondo on the Olympic program," he said.